American Diabetes Association 2019 Alert Day sounded the alarm about the prevalence of type 2 diabetes by asking everyone to take the Type 2 Diabetes Risk Test. Share this free tool with your patients. The anonymous risk test only takes a minute to complete. By answering questions such as “Do you have a family history of diabetes?” and “Are you physically active?” your patients can learn if they’re at risk for type 2 diabetes in 60 seconds. To share the Type 2 Diabetes Risk Test, click here. The ADA reported that 29.1 million Americans, or 9.3% of the population, have diabetes. Diabetes remains the 7th leading cause of death in the United States and continues to be the leading cause of kidney failure, non-traumatic lower-extremity amputations, and blindness among adults aged 20-74. The number of Americans diagnosed with diabetes will continue to grow by 1.4 million every year. Additionally, the CDC reports that 86 MILLION Americans have prediabetes. Representing more than 1 out of 3 – with prediabetes Prediabetes is a serious health condition that increases the risk of developing Type 2 diabetes, heart disease and stroke. 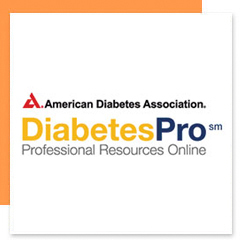 This page provides a toolbox of information and resources to help providers in the care of their patients with or at risk for prediabetes and/or diabetes. Learn how you can help in the fight against diabetes. The New Jersey Primary Care Association has teamed up with the New Jersey Department of Health to help combat diabetes through the use of Diabetes Resource Coordination Centers (DRCC). A DRCC is a coordinated care model consisting of organizations such as hospitals, physicians and pharmacy associations. DRCCs have proven partnerships with healthcare providers and a large statewide presence. 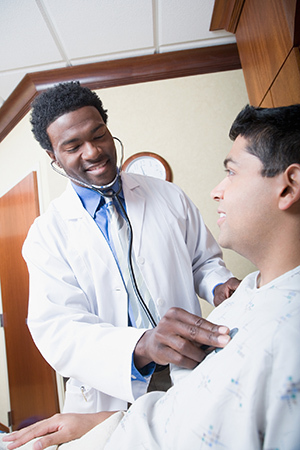 DRCCs work with designated community partners and healthcare providers to drive patients to Diabetes Self-Management Education (DSME) and Diabetes Prevention Programs (DPP). Partners and providers include Federally Qualified Health Centers (FQHCs), health systems, community-based organizations which offer the DSME and affiliates offering DPP. DRCCs collaborate with healthcare providers to link patients with either DSME or DPP to increase participation. The DRCC will promote DSME and DPP, and increase access to, referrals for, and use of both programs. Additionally, the DRCC model will be used to link healthcare organizations, patients and programs through innovative health communications and provider engagement to raise community awareness. 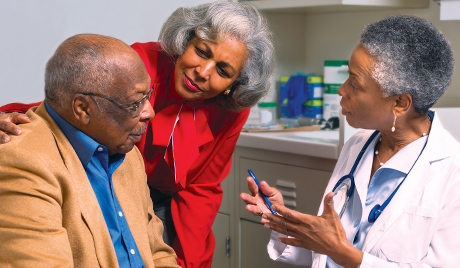 Care teams play a significant role in their patient’s healthcare. This is especially true for patients with a chronic disease such as diabetes. Prediabetes is a reversible condition. Evidence-based intervention has been proven to motivate and support individuals to make practical, real-life and lasting changes; reducing progression of type 2 diabetes. Below are resources and tools to help you determine if your patient has or is at risk for prediabetes. Review the below prediabetes risk assessment tool with your patients. He/She is 45 years of age or older. He/She has ever had a parent or sibling with type 2 diabetes. He/She is physically active fewer than 3 times per week. She has ever given birth to a baby that weighed more than 9 pounds. She has ever had diabetes while pregnant (gestational diabetes). The National Diabetes Prevention Plan (DPP) is a collaborative framework of diabetes prevention efforts. 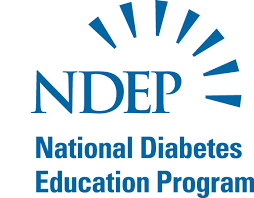 The National DPP works to make it easier for people with prediabetes to participate in affordable, high-quality lifestyle change programs to reduce their risk of type 2 diabetes and improve their overall health by bringing together partners from the public and private sectors to prevent or delay type 2 diabetes in the United States. Click here to find out more about the National DPP partners. As a health care professional, you play an important part in preventing type 2 diabetes. The AMA and CDC urge you to prevent diabetes STAT. Click here to access the Quick Stat Review. Unfortunately, diabetes occurs among a great deal of patients seen in many medical facilities. As common as it is, every individual requires unique care. Encourage your patients with diabetes, and their families, to learn as much as possible about the latest medical therapies and approaches, as well as healthy lifestyle choices. Help your patients feel in control of managing their diabetes by utilizing these DSME resources. Visit the ADA Treatment and Care online resource for more information and to get tools to help your patient adopt healthy lifestyle choices. Supported by Funds from the Centers for Disease Control and Prevention through the New Jersey Department of Health, Diabetes Prevention and Control Program.